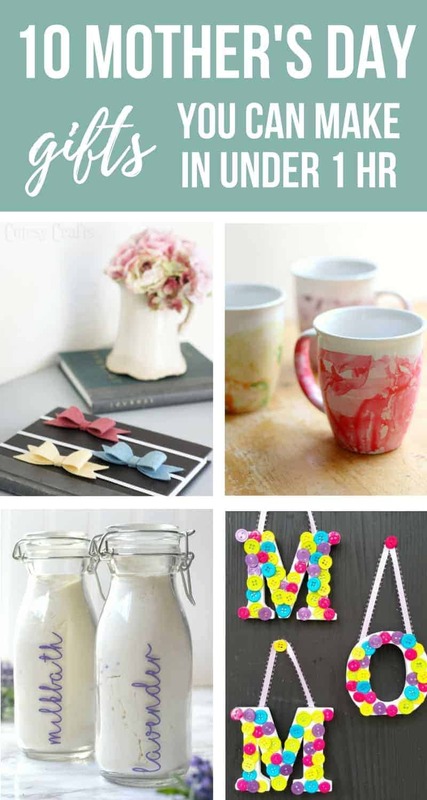 Mother’s Day is approaching and it’s time to get those easy DIY Mother’s Day Gifts ready! Lucky for you, I’ve got the perfect easy DIY Mother’s Day gift ideas to share with you! And the best part? Each and every one of these gift ideas takes less than an hour to create! As a Mom, receiving a Mother’s Day gift that is homemade is the best. It’s authentic, made with love, and it’s obvious that the person who made it took time and effort to create a craft that they thought encompassed you as a Mom. Talk about the best Mother’s Day gift ever! If you’re behind on your crafting skills for this upcoming Mother’s Day, don’t fret. There is still plenty of time to get your plans in place. Lucky for you, I’ve got the perfect DIY Mother’s Day gift ideas to share with you! And the best part? 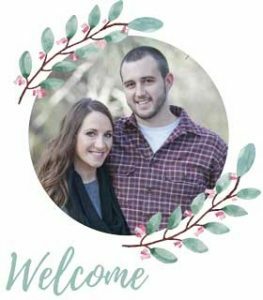 Each and every one of these gift ideas takes less than an hour to create! Are you ready to see these easy DIY Mother’s Day Gifts?? Does the Mom in your life love all things essential oils? Why not give her a handmade Mother’s Day gift that she is sure to love? 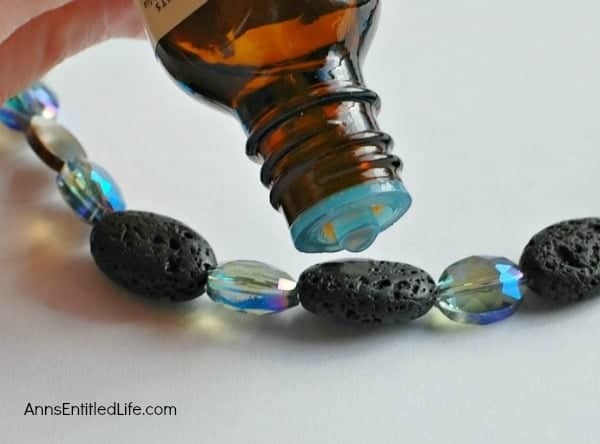 This DIY Essential Oil Diffuser Necklace is not only super simple, it will keep your mom smelling her favorite oil smell all day long! Why send your Mom out for a trip to the spa when you can create her very own Lemon Sugar Scrub that she can use over and over again. If she loves lemon and smooth skin, this is the perfect Mother’s Day present for her! Some of the best gifts can be accessories to accompany items that your Mom enjoys. If your Mom is a book lover, giving her this easy DIY Mother’s Day craft is perfect. 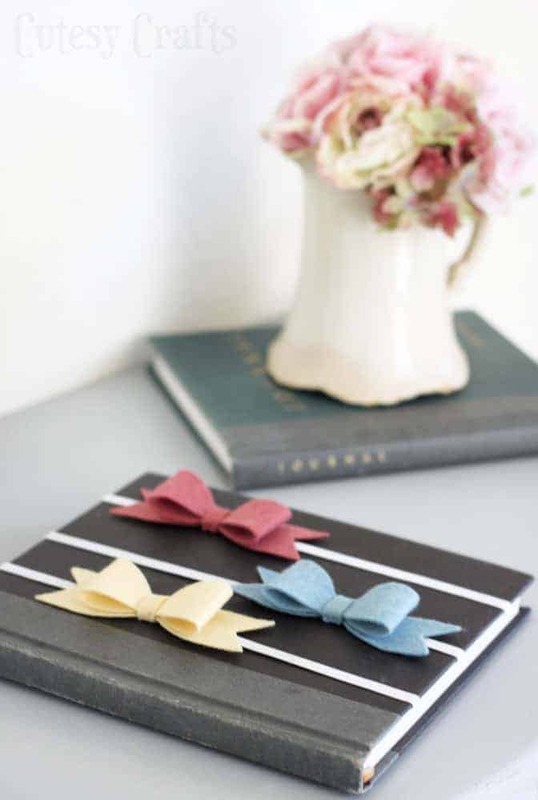 These Felt Bow Bookmarks take such little time to make, that making a few extra for her other books is probably a great idea. We all know that Mom’s are like buttons, they hold everything together, right? If the Mom in your life is your “button”, show her you care with this fun Mother’s Day gift printable that I made last year. Then, keep on with that button theme and create her a beautiful DIY Button Flower that she can keep forever. These are so fun to make! How many hats does your Mom wear for your family? She deserves a nice, relaxing bath. 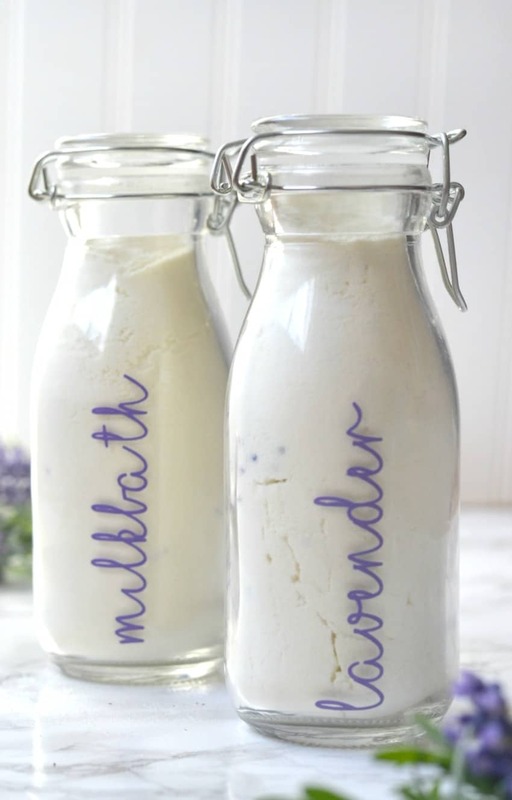 Why not make her very own Lavender Milk Bath? She can relax in a soothing bath and soak the stress away! 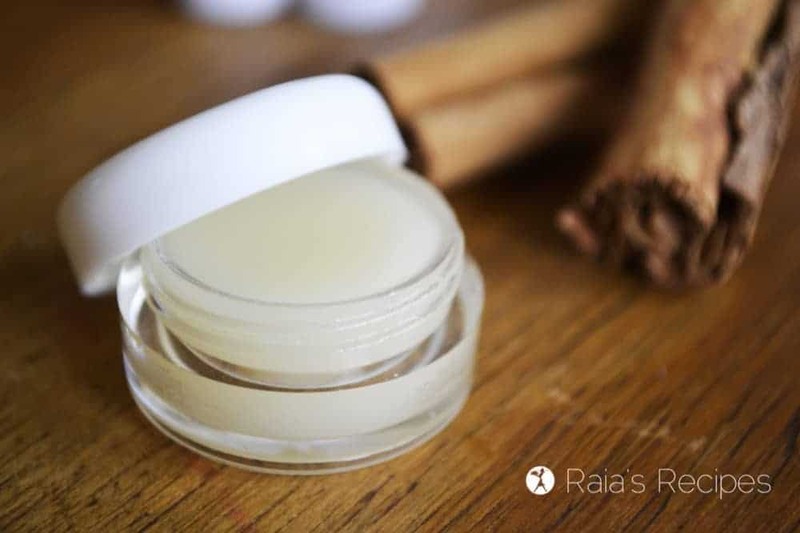 Pamper your Mom this Mother’s Day with this fun and delicious smelling Honey & Cinnamon Lip Balm. It’s super easy to make and sure to be a hit! 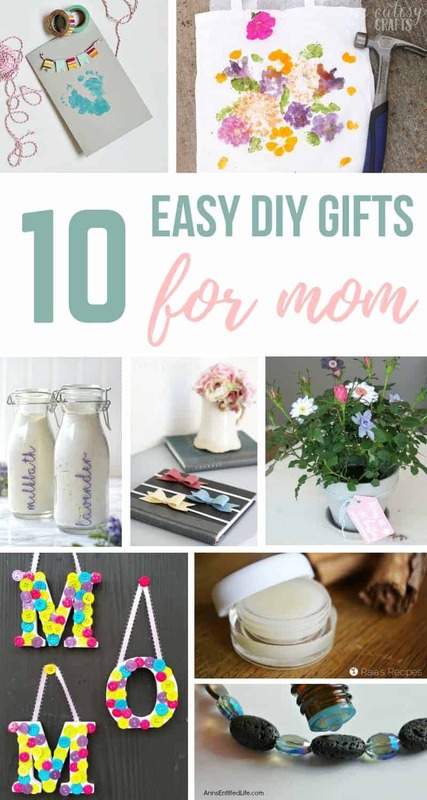 Don’t forget the little kiddos and their DIY craft options for Mom! While there may be a ton of DIY Mother’s Day presents to choose from, these Mother’s Day Button Letters are too cute to pass up. They’re simple for the kids to make and the bright colors will keep Mom smiling all year long. 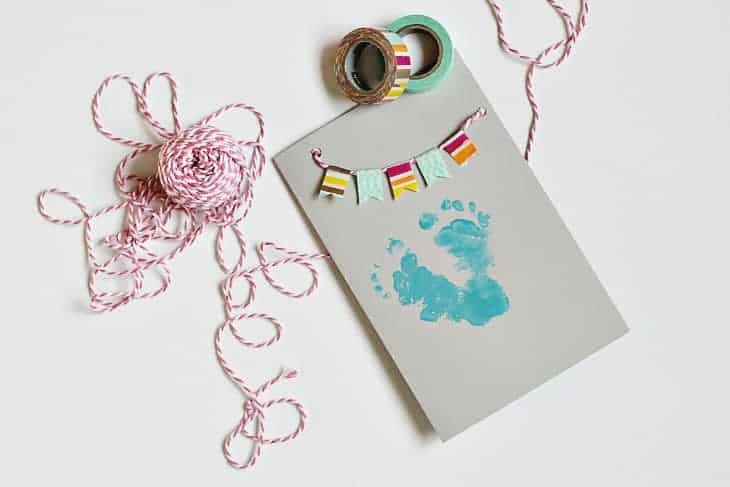 Even babies can give Mom a DIY Mother’s Day gift this year with this adorable Mother’s Day Card. This will require a little help from another adult, but the results will be adorable and sure to melt Mom’s heart! 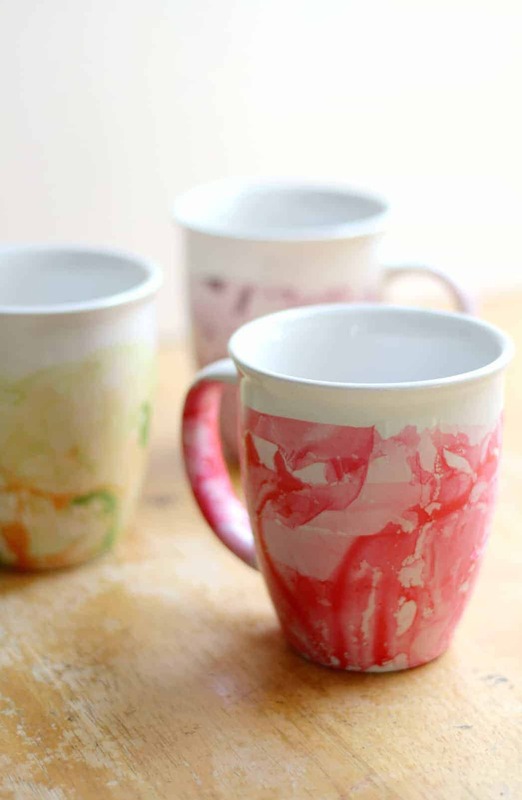 Give a gift that your Mom can use each and every morning with this DIY Marbled Nail Polish Mug. Not only are they super simple, but they’re quite stunning as well! Can moms ever have too many bags to carry all their belongings? 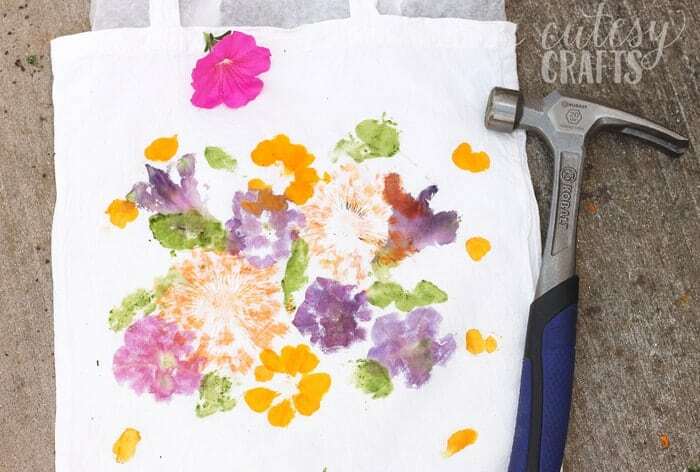 Why not give the Mom in your life this simple and easy Pounded Flower Bag. It’s unique and a bright and colorful gift that she can take with her anywhere! Giving a handmade gift to your Mom this year is something that is not only easy to do, but important as well. 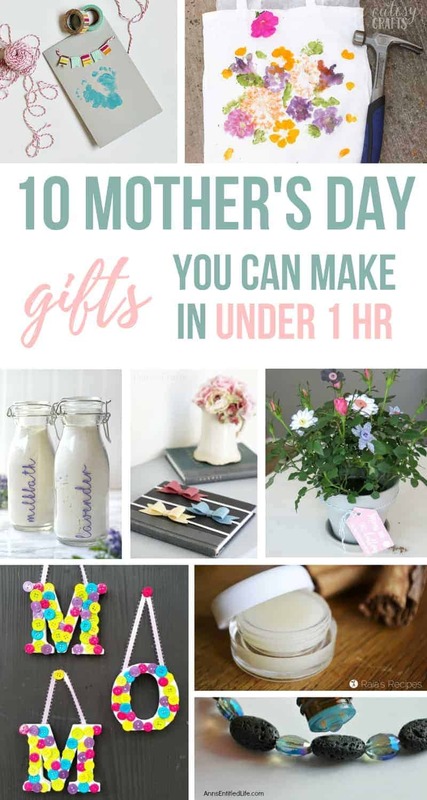 Make your Mom’s Mother’s Day super special by showing her how much she means to you with some of these easy DIY Mother’s Day gifts. By taking the time to make her something special, she is sure to have one of the best Mother’s Day ever! Which of these easy DIY Mother’s Day gifts is your fave? ?